Is it true? 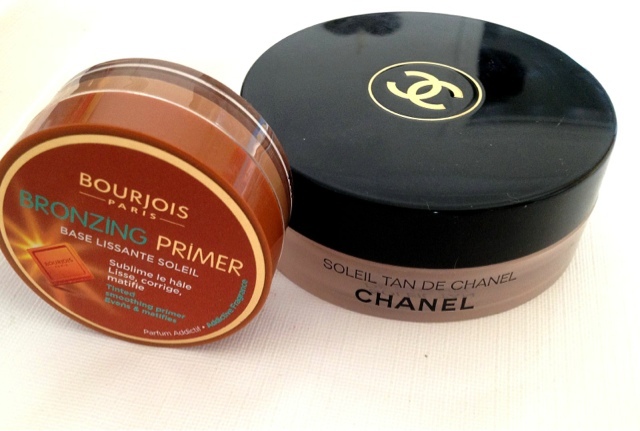 Is Bourjois Bronzing Primer a much cheaper dupe of the high end Chanel Soleil de Tan? Like any good beauty blogger I decided to put it to the test. Before we begin our cream bronzer face, off let me start by saying that both products can be used in exactly the same way. They can be used on their own, under make up or over foundation to contour and add colour to the face. First off lets take a look at the packaging. Chanel displays their product in a plastic oversized pot which is bulky and less than travel and storage friendly. Bourjois offering is the same design with a plastic pot and screw top lid but this time the packaging is small, neat and a lot more travel and storage friendly. Colour wise they are both very similar, but there are some differences. Bourjois is slightly more warm toned thus making it ever so slightly more orange based than Chanel. Chanel's bronzer which contains a slight shimmer, has more of a beige, cool tone to it, giving it a small adge against its counterpart. When it comes to texture this is where they are miles apart in my opinion. 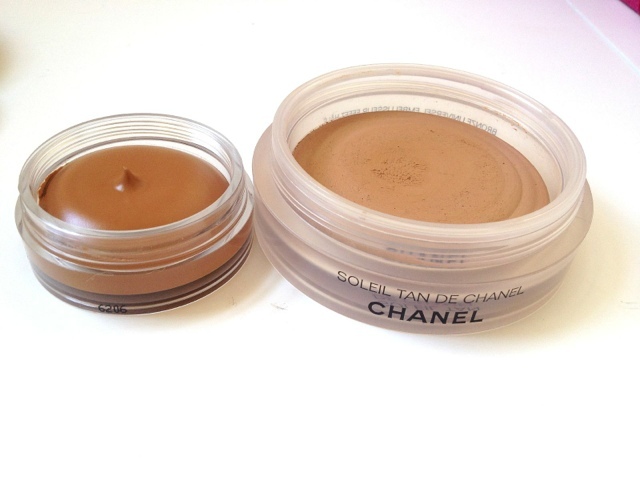 The classic Chanel bronzer is more dense and has a creamier texture to it. 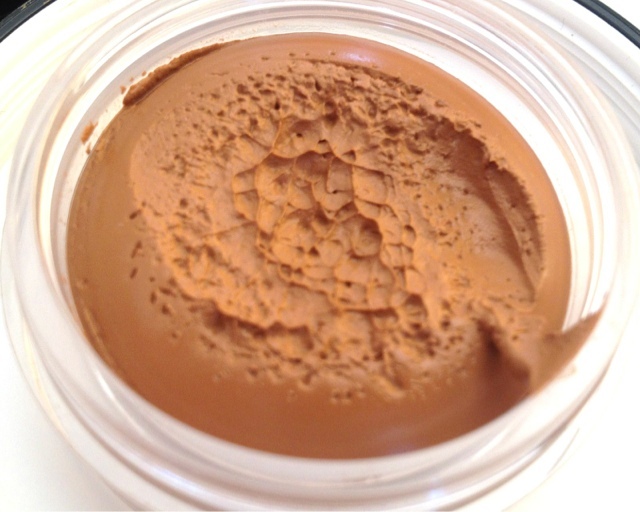 Bourjois has a wet chocolate mousse like consistency. Now whether or not you prefer something more creamy or wet is personal opinion but I find the Bourjois texture a little off putting, I don't want to go into detail but with something that colour and that consistency only one thing springs to mind! Bourjois promises to deliver a smoothing primer that will even out skin tone and mattify. Chanel dries to a matte silky finish whereas Bourjois does dry a lot more matte than when it starts out but does have a more satin finish to it, I wouldn't say dewy as its not that wet but its definitely not as matte as Chanel. As for evening out skin tone I think this again has to go to Chanel, I felt that my pores are more refined and my skin tone evened out more. The Bourjois does even out skin tone a little, offering a lovely tanned look to my skin but I felt that my skin was coming through too much and it looked a little patchy. One thing they are very similar on is the way they blend out. These two products can look quite scary when first applied but blend out a lot more sheer when buffed with a brush. Their both creamy and light and do delivery a lovely natural colour. On my skin tone I find that the Bourjois primer does not last as long as the Chanel Soleil de Tan. I find that it slides on my face and goes patchy, especially in hot whether. Chanel is £31.00 for 30ml and Bourjois is £9.99 for 18ml. There is a big diffence in price but you do get 12ml more product with Chanel so of course its going to be more expenisive. You pay appoximy 55p per ml for Bourjois and £1.03 per ml for Chanel. So even thou you are getting less product Bourjois is still a lot cheaper than Chanel. These both have quite strong fragrances to them. Chanel has a flowery perfume aroma and Bourjois has a gorgeous yummy chocolate orange fragrance which I could sit and smell all day! It reminds me of holidays for some reason, I think it resembles a suntan oil that I must have used once because it take me right back to laying my a pool cocktail in hand, it's just delicious! 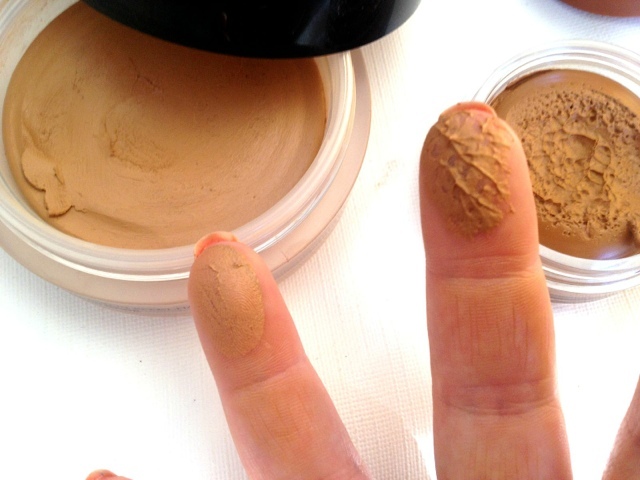 I personally think that the Boujois primer is only a dupe because it is a cream bronzer and for no other reason. 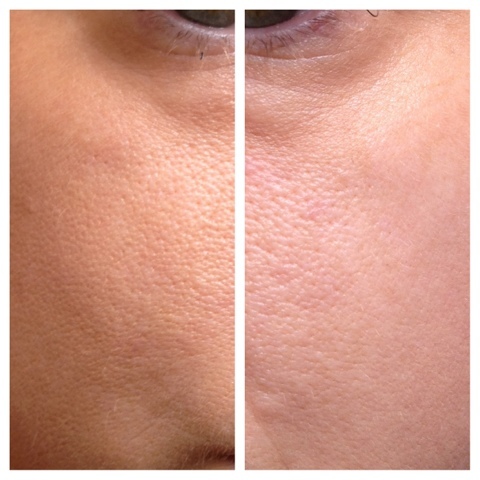 The two products are miles apart when it comes to texture, overall appearance and lasting power. Yes the Bourjois is cheaper and smells yummy but I buy a product because I want it to work not because of the fragrance (unless its perfume of course!). The Chanel bronzer is expensive but it lasts ages as you only need a little and it goes a long way, whereas the Bourjois primer you need to use quite a lot because of its watery texture. For someone that has both the Boujois and Chanel I know for a fact that I will never use the Bourjois Bronzing primer again and will probably give it away. 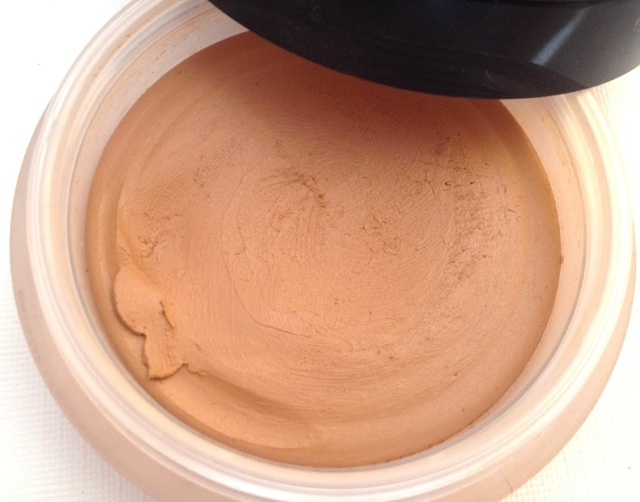 As far as cream bronzers are concerned you really do get what you pay for! Have you tried these products, I would love to know what you thought of them both. Really great review, I know which one I’d be picking!! 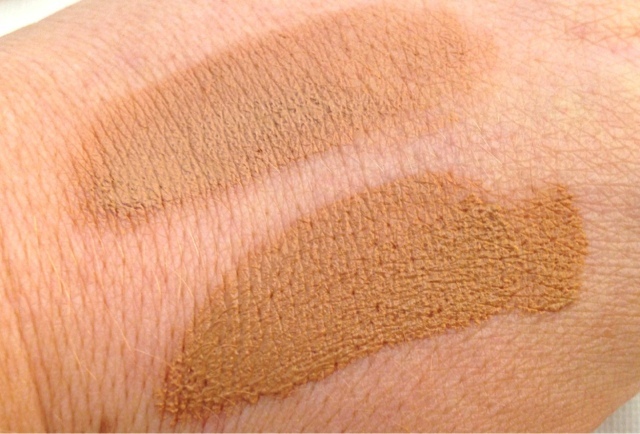 I know what you mean by the texture of the bourjois one its very chocolate mouse textured and although I have never tried the Chanel one I don't think it would be hard to beat the consistency of the bourjois one :) Lovely comparison very informative.